John W. Simek is vice president of the digital forensics and security firm Sensei Enterprises. He is a nationally known expert in digital forensics and e-discovery. Before forming Sensei, Simek was a senior technologist for Mobil Oil Corporation, where he spent 20 years designing and troubleshooting the company’s networks throughout the Western Hemisphere. Simek is a Certified Information Systems Security Professional (CISSP), an EnCase Certified Examiner (EnCE) and holds multiple other technical certifications. 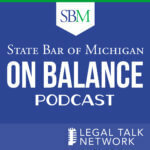 Lincoln Mead and John Simek share how the conference stays current on tech for lawyers and give tips on how to best prepare for attending the show.